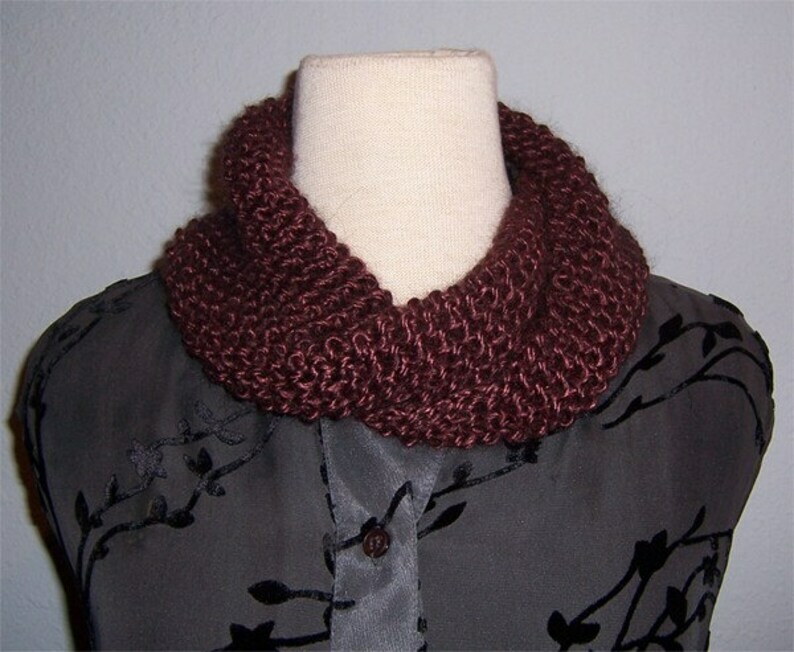 This knit pattern is an easy alternative to the moebius-style neck cowl. Fully reversible, and knit in the round using a size US10 circular needle, you will be able to create this beautiful accessory quickly and easily. You are welcome to sell the finished product that you make using my pattern. I have included photos in the pattern instructions to show how to create the twist and how to finish the cowl using a stretchy bind-off. Techniques needed are K, P, and knitting in the round.